We already think that Valle Verde Quintas is the Future of Costa Rican Living, not only because of the incredible views, best climate, abundant wildlife and amazing location, being close to the big city of San Jose, but just far enough to still have sprawling building lots and fresh air; but also because there are so many unique and beautiful treasures just waiting for you! There are many ways to hike and trail in Cebadilla, but our favorite places to visit are the Costa Rica Animal Rescue Center and Laguito Phillips. 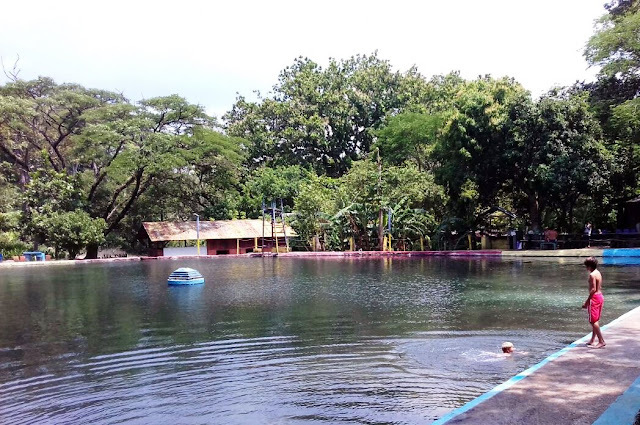 Both are less than a few kilometers from Valle Verde Quintas and both are a great way to spend time with your family. As you are leaving the subdivision, make a right and after 1 kilometer, stay to the left going over the bridge. You will pass a few scenic farms, then look to the right and in about another kilometer, you will see a sign :) You have arrived at the Costa Rica Animal Rescue Center. Here you can take a tour, volunteer, and bring donations in the form of dog food, cat food, animal toys and of course, cash donations. All the animals here are rescues. Some have been seized from homes by the government. Some have fallen from trees or electrical lines. Every animal here can't return to the wild due to abuse, illness or simply life in captivity does not allow them to survive in their native homes. The good people at the center treat the animals like family, caring for them, loving them and feeding them. There are plenty of sloths, howler monkeys, capuchins, and even a marmoset. There are also a pair of scarlet macaws, several parrots including a speaking yellow nape parrot, a peacock and other exotic birds. There is also a porcupine, ducks and geese, and last, but not least, a cute turtle. The fauna is spectacular and volunteers come from all over the world to stay for a month or so to learn about caring for the exotics. There is also a pool. To inquire about a day visit, please send them a message on their Facebook page or by email. This is an incredible day trip with family and friends, and don't forget to bring a donation. All donations go directly to the feeding, medicines and care of the animals. They accept blankets, toys, foods and money. Leaving the subdivision, turn left for about 1 kilometer and look to your right. There is a sign for Laguito Phillips, our favorite watering hole. The sign boasts 365 days a year open, and for 65+ years, this has been a local favorite. The owners of the sprawling property have harnessed the spring water and created a rustic oasis, great for parties, relaxing or just a cool dip. There are waterfalls and a large cemented pool type lake that is super deep and filtered with cold natural spring water. Do not be alarmed if small fish tickle your toes because the water is filtered naturally, through bubbling vents in the rocks forming natural waterfalls throughout the property. There is always music going from the small, laid back restaurant and plenty of local charm. There are several picnic tables and places to chill in the warm Costa Rican sun. For a few dollars, you can hang out all day, immersed with the locals and occasionally visiting with a few of the volunteers from the animal rescue center. Pura Vida!